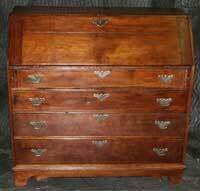 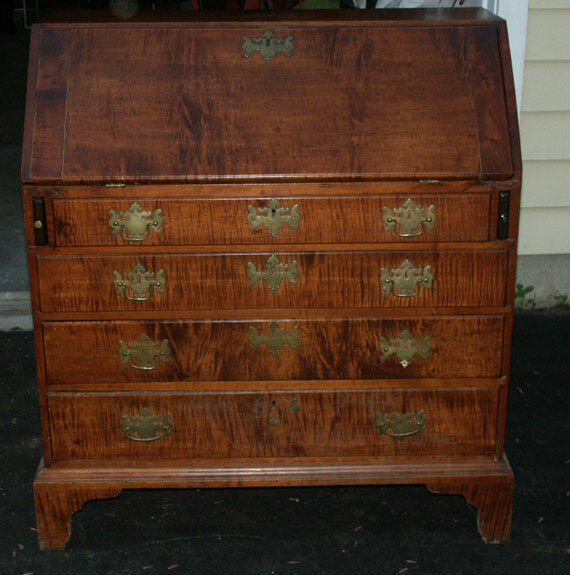 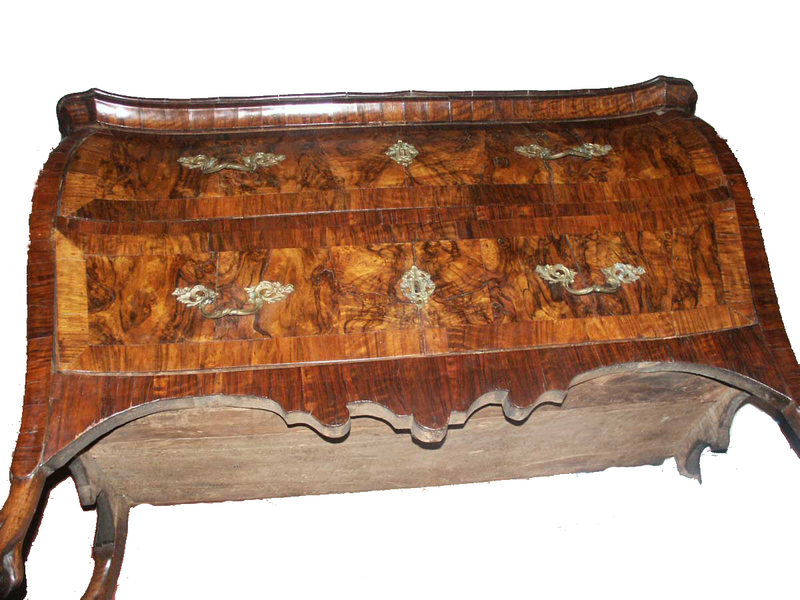 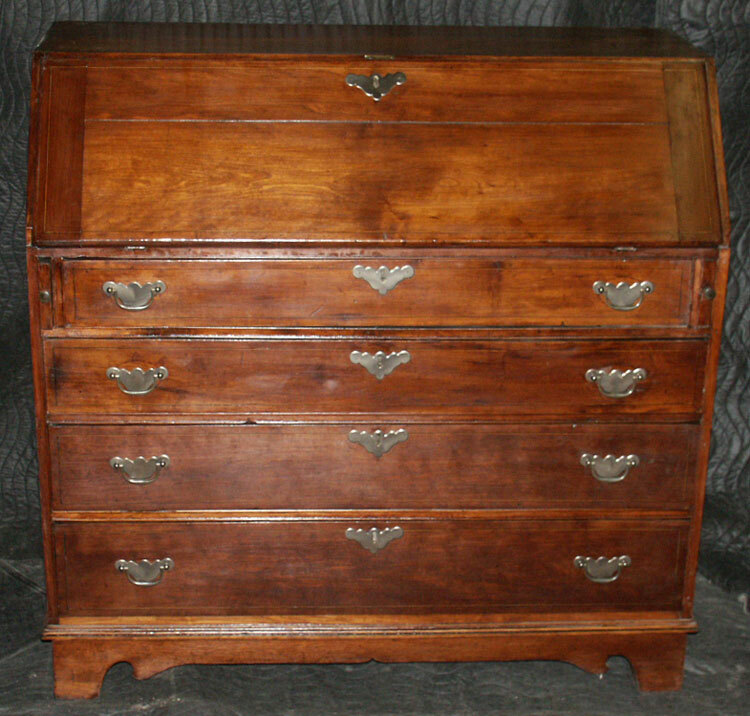 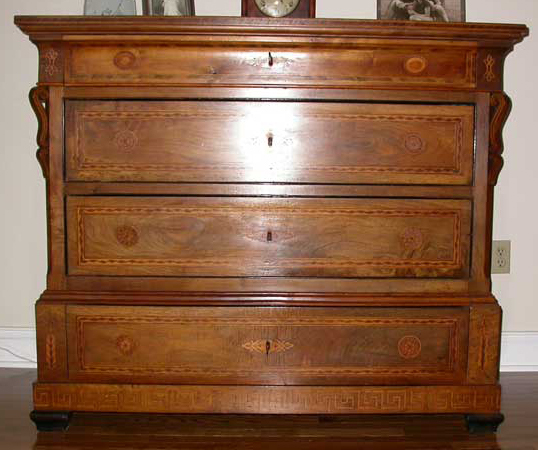 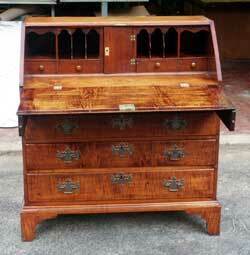 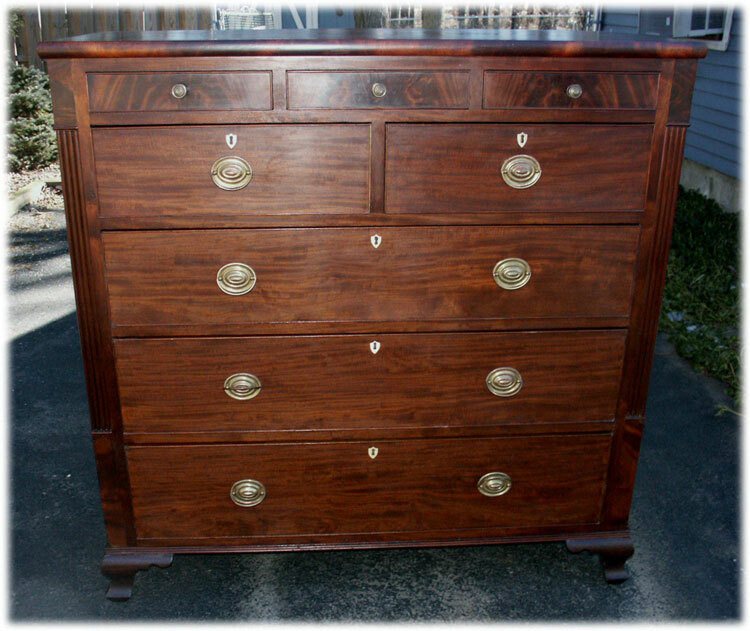 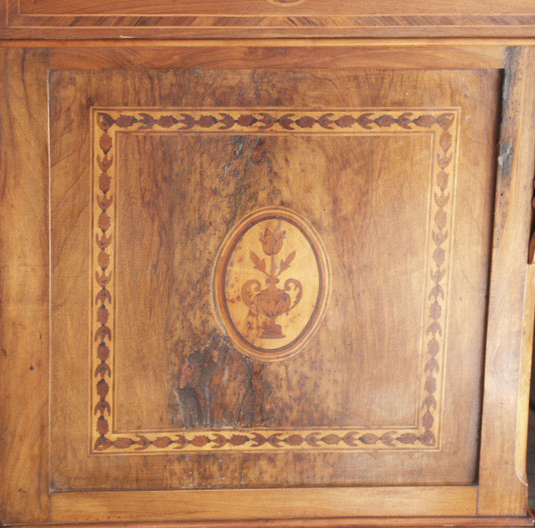 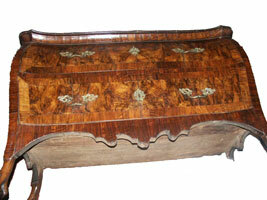 Circa 1780 Italian Chest - Featuring a variety of intricate inlay patterns. 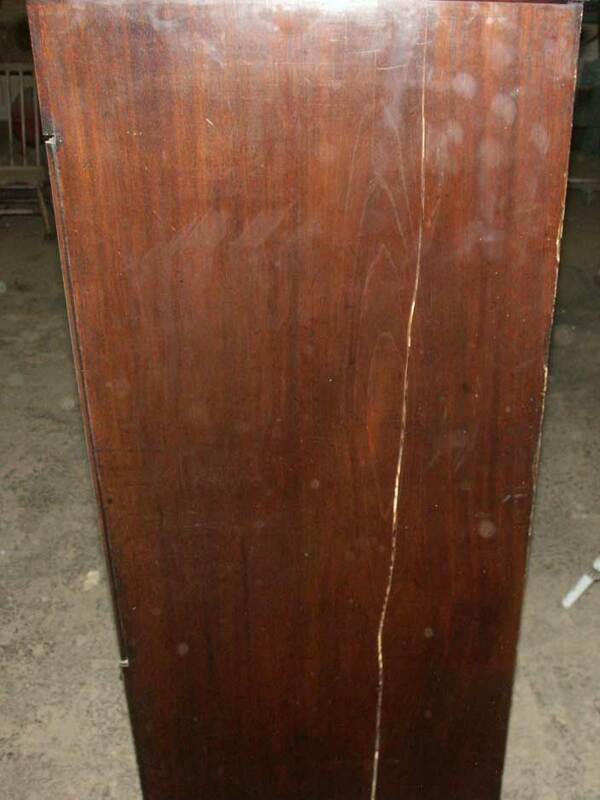 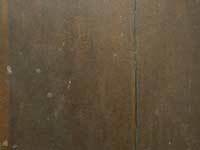 This piece suffered severe insect damage that in fact greatly added to the character imparting a distressed appearance. 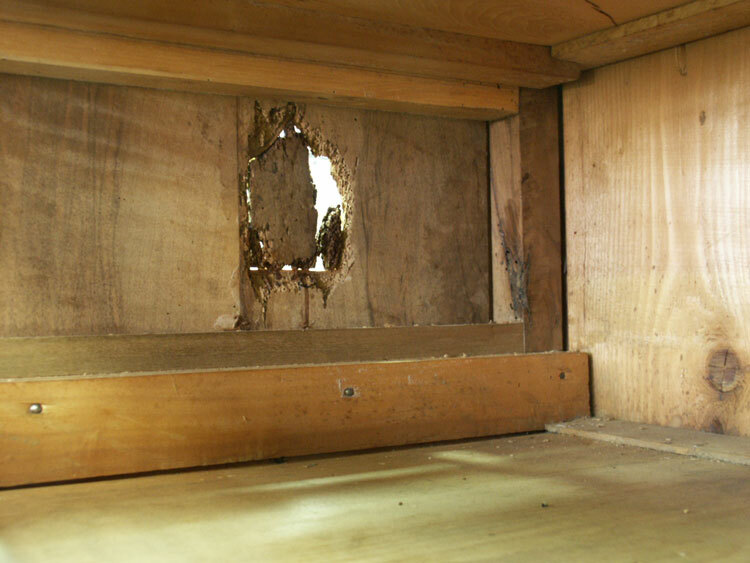 However, the damage exceeded the structural capacity of the materials and joint separation along with a large hole in one side called for immediate attention. 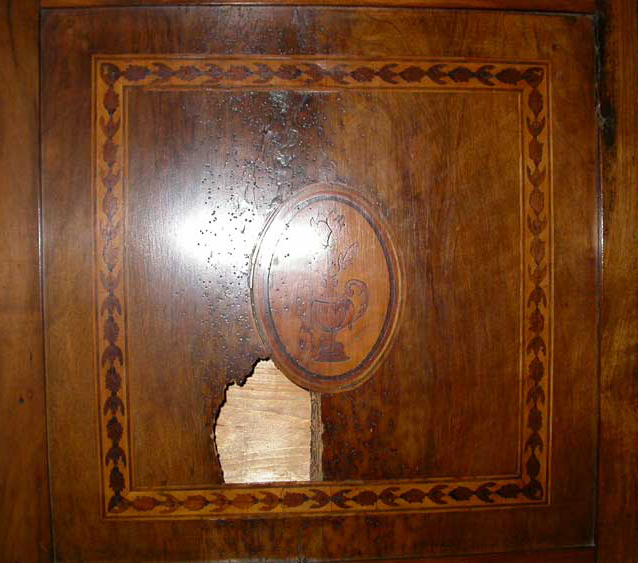 Conservation on this piece never touched the finish except for localized regions around the repairs. 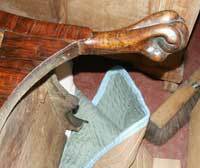 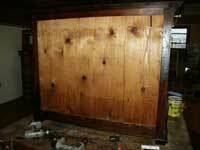 Original pieces were puzzled back into the hole along with new materials and filler to provide the appearance of an intact section of beetle damaged wood. 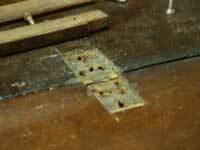 The joint was rebuilt using gap filling glues instead of complete disassembly to avoid damaging the intact joint work. 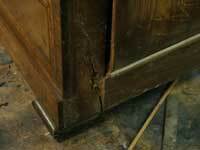 The entire inside of the piece was sealed to slow further deterioration. 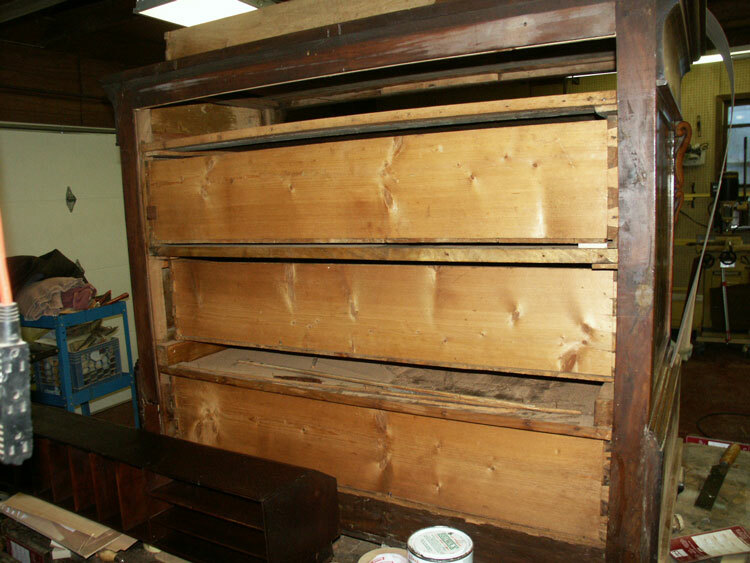 Minor drawer repairs were completed, and the loose back reattached to the piece. 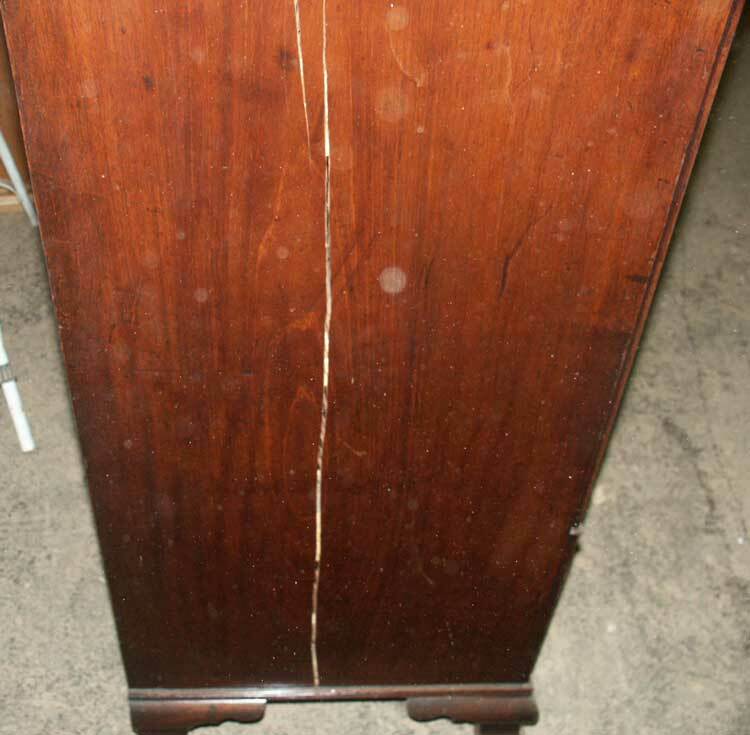 This piece arrived upside down and unable to stand on its own four feet. 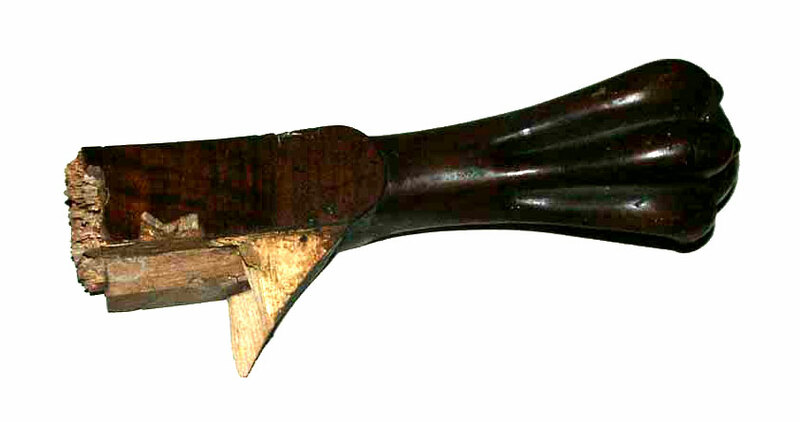 The back legs are ridden with beetle holes, and restoration will require some additional bracing and filling them as best possible with various adhesives. 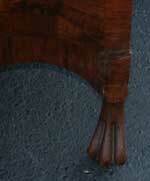 The leg will be reattached and the piece will soon stand upright again. 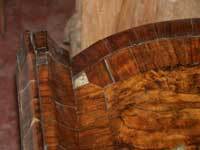 In addition, we reviewed the various sections of veneer and inject glue as required and cut patches where missing sections. Pieces like this are always a work in progress, the veneer is around 250 years old, it's not exactly fresh glue. 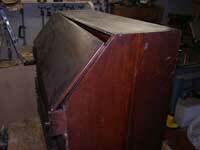 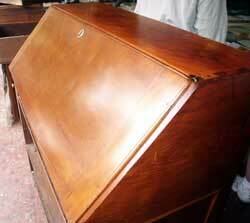 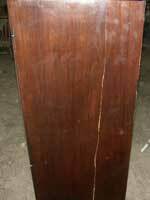 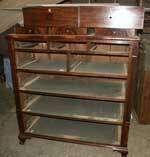 Pieces and parts will be cracking and periodically it will need attention and upkeep. 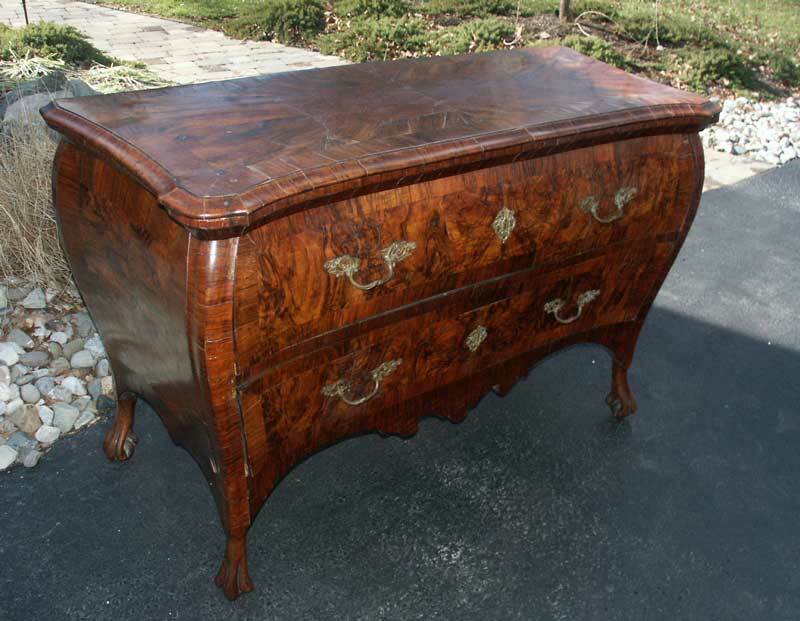 As of now, this piece is back on its feet, standing solid and functional for its new life in our client's home. 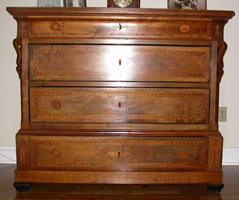 Shown left in solid cherry (circa 1820) and right in solid tiger maple (circa 1750) are two great specimens of Early American furniture. 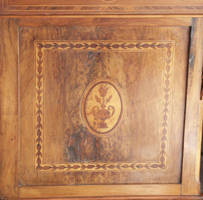 The Cherry piece arrived coated in lacquer, and was stripped to be returned to a hand rubbed finish. 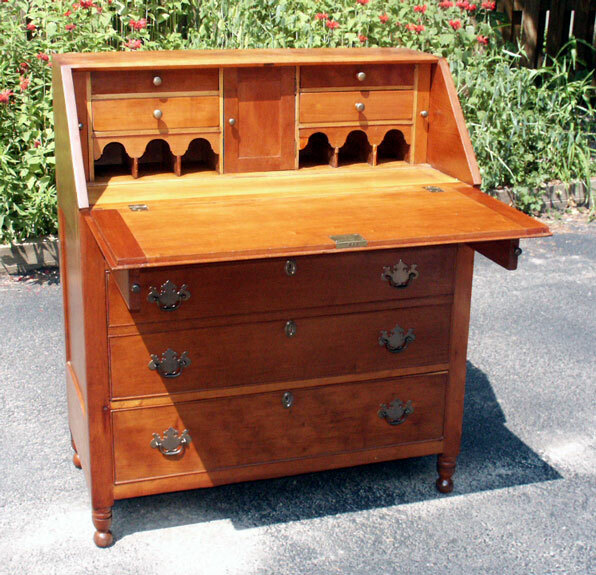 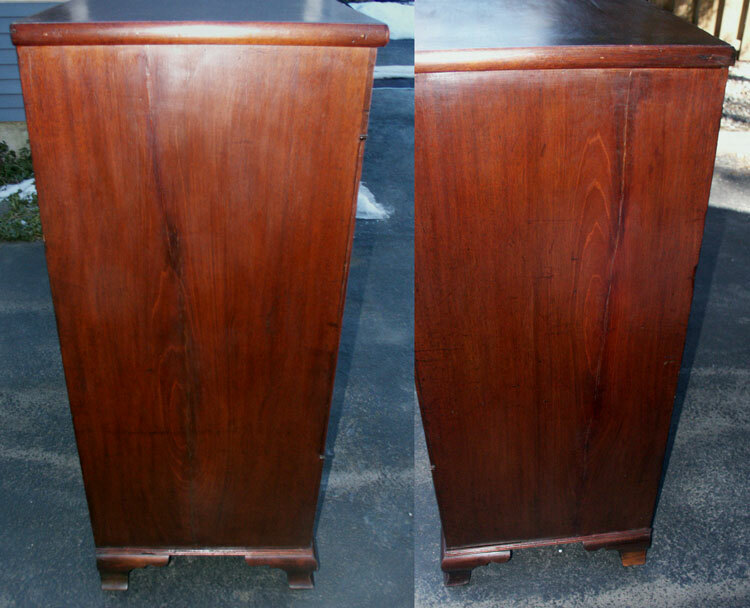 On the right, the maple secretary had it's shellac finish intact, and was restored by cleaning and updating the original finish. 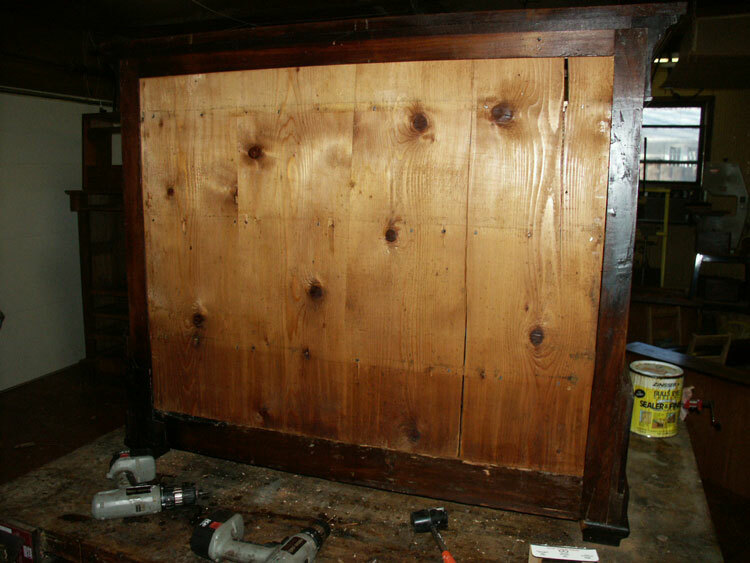 Removing years of mold buildup, disassembling the piece, and re-gluing the joints lost from the deterioration of the original hide glue. New hardware was fitted, replacing the current damaged"replacements" that were on the piece when we found it. 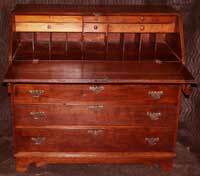 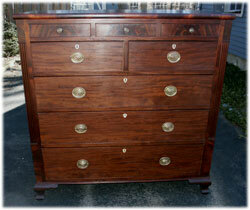 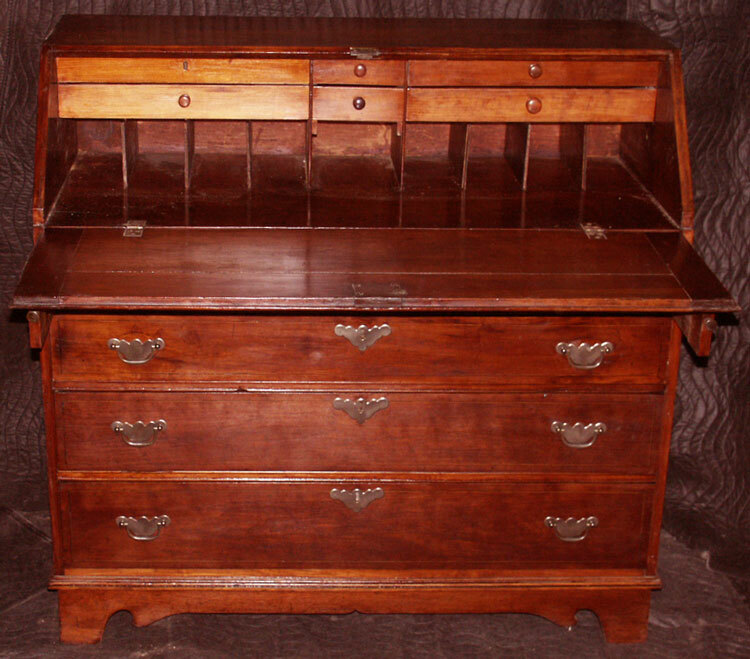 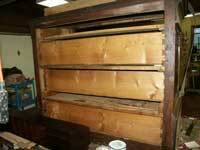 Drawers and drawer bottoms were re-glued on both pieces, and previous improper repairs were restored. 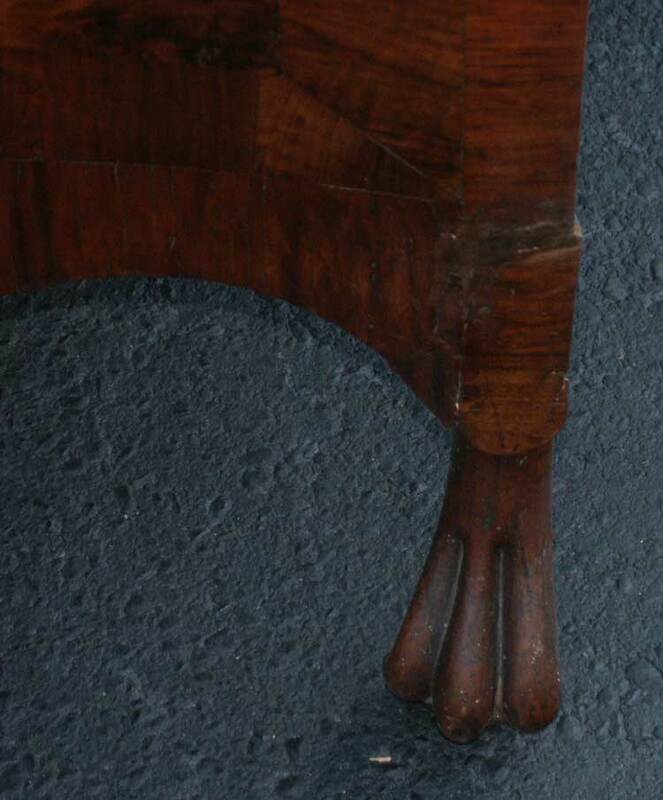 Several drawer slides needed attention, and although almost every dovetail was intact, the original glue dried out and lost its grip. Much of the piece was disassembled and re-glued. 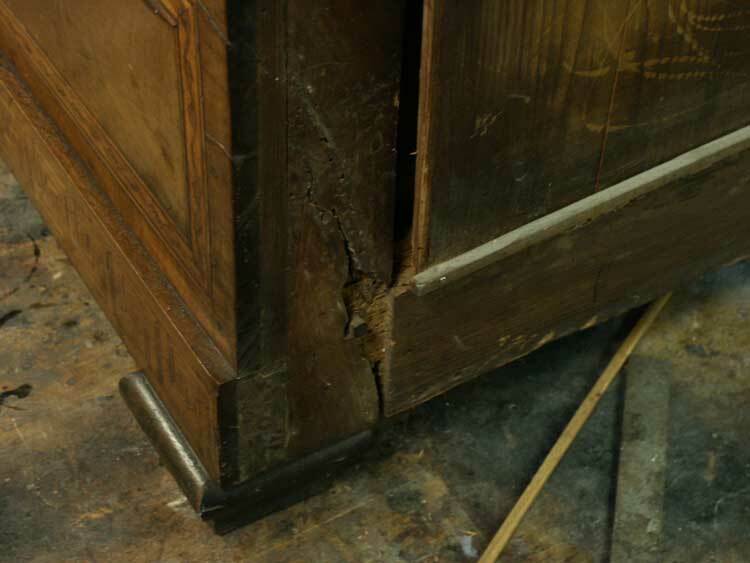 End-to-end stress cracks formed on both sides, and a section of the top surface split away. 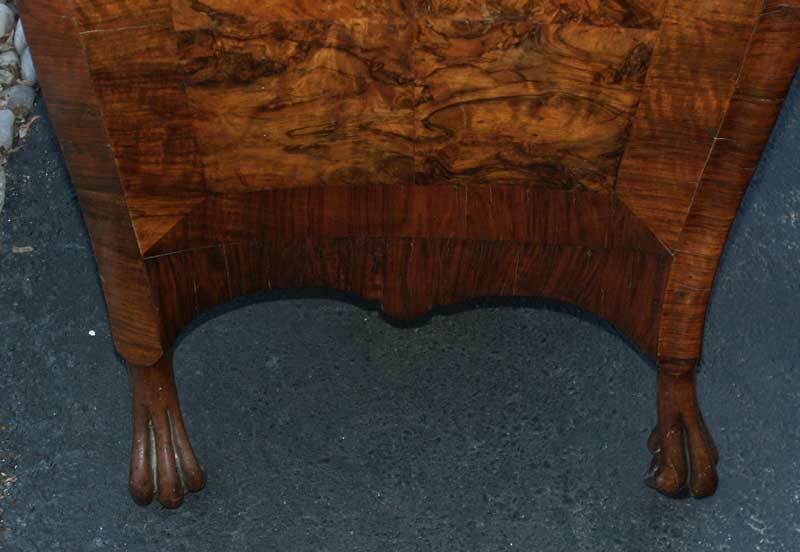 Our studio and showrooms are open by appointment. 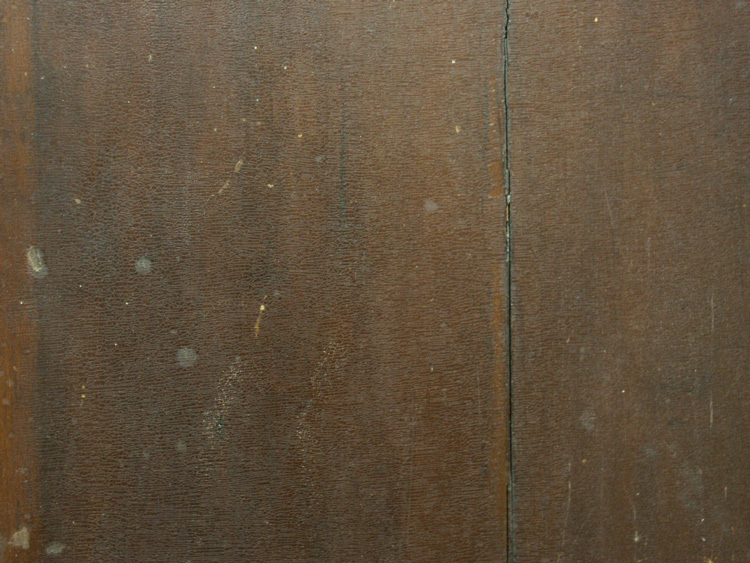 Please call ahead so we don't miss you!